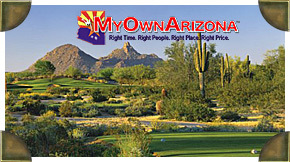 Welcome to the online MyOwnArizona team presentation of Luxury Homes For Sale in Grayhawk Scottsdale. Search our collection of the finest Central Scottsdale luxury homes, estates, and land for sale in the Grayhawk area. The City of Scottsdale has some of the finest luxury homes and estates available in the entire country. The Scottsdale luxury real estate market benefits from one of the largest and fastest growing metropolitan area’s in the entire region. The Scottsdale area boasts plentiful luxury shopping, dining, and outdoor opportunities, which are listed for your convenience in our Scottsdale Luxury Resource Guide. Please contact us to receive the luxury packet on Grayhawk Scottsdale AZ. Since 1994, Grayhawk has been the premiere award-winning golf, top restaurants, marvelous shopping, including thousands of content families with many amenities that create that unique Scottsdale AZ at Grayhawk lifestyle. Grayhawk is located at the location center of Scottsdale, Arizona in the foothills of the magnificent McDowell Mountains encouraging effortless entry to the many amenities and natural activities that the City of Scottsdale AZ provides. Since opening in Scottsdale, Grayhawk Golf Club has been one of Arizona’s most highly-rated golf clubs and courses, primarily due to Grayhawk’s two outstanding 18-hole golf courses named Talon and Raptor. The Grayhawk Scottsdale AZ community is located in a complete treasury of Scottsdale nightlife destinations. The action centers around Kierland Commons and the Scottsdale Quarter within stone's throw on Scottsdale Road. For those wanting to experience the outdoor-life beyond the calm environment of Grayhawk’s many Scottsdale community parks, several chances to exercise your legs including a hike at Pinnacle Peak Park. Scottsdale AZ active with bursting of modern life. Grayhawk’s friendly surroundings serve as an oasis within the Valley city whirlwind where Grayhawk residents can unwind in Scottsdale AZ comfort. Beautiful luxury developments and communities abound within the areas of Central Scottsdale. In the heart of downtown Scottsdale you will find urban and upscale lofts with views to take your breath away, and in the surrounding communities in Central Scottsdale you will find truly amazing luxury estates. Luxury homes are abundant throughout our area, and MyOwnArizona's Central Scottsdale Luxury Homes division has the resources you need to find your dream home. This online resource of Luxury Home offers our clients the best of all luxury to be found in this wonderful area we call home. Your Central Scottsdale MyOwnArizona team is the top Arizona realtor group serving the Central Scottsdale luxury area in the industry. Let our MyOwnArizona business professionals be of assistance to you and your needs.